Native Philadelphian, Mark Boyce, brings a background of performance and music education to Music Pillars. After studying classical piano at Bryn Mawr Conservatory of Music, Mark went on to attend Temple University for music composition. As a recording artist, Mark has worked for Sony Music, Columbia Records, Geffen Records, and most recently Brushfire / Universal Records. He has currently recorded with G. Love and Special Sauce and Lucinda Williams for an October 30th release of “Love Saves The Day”. Presently, his jazz trio, Krass Bros., has been nominated for a San Diego Music Award for Best Jazz Artist. As an educator, Mark was a founding teacher at School of Rock working at the flagship school in Philadelphia. Born and raised in Northern California, April was raised singing in choirs from the age of 8 to college graduation. 3rd in the lineage of family pianists, she continued piano lessons from the age of 10 on. She has a B.A. in Piano Performance from Cal State East Bay with a minor in Early Childhood Development. She was licensed with Kindermusik in 2004 and has a passion for Early Childhood Music Education. Her vision is to create programs that meet the developmental needs of the young child while exposing them to the genres of Jazz, Pop, and Rock. April has created and authored our fantastic Early Childhood Curriculum at Music Pillars. Mikaela is an accomplished actress, singer, dancer, and model originally from New York, with a primary focus on professional musical theater. Previous credits include “Rent” (Mimi), “Murder Ballad” (Sara), “Beauty and the Beast” (Belle), “Aida” (Amneris), “Legally Blonde” (Serena), “Into the Woods” (Cinderella), “35MM” (Voice 1), “High School Musical” (Gabriella), “Footloose” (Urleen), “Seussical” (Bird Girl), “Grease” (Sandy), “The 25th Annual Putnam County Spelling Bee” (Marcy), and “Company” (Jenny) at various regional theaters around the country. Operatic work includes the original NY recording of “Callisto,” a New Italian Opera as Lead Soprano, and touring through Europe as a soprano with American Music Abroad (Luxembourg, Sweden, Belgium, France, Austria, Switzerland). Mikaela has also worked a great deal in film, commercial, and television, most notably including an upcoming feature film alongside Ben Affleck, and co-starring with Beth Behrs in a dance-based film soon to be released on Netflix. Music Video/Modeling/Dance experience includes projects with MTV, 20th Century Fox, Paramount, Victoria’s Secret, Beyoncé, Rihanna, Ed Sheeran, Rachel Platten, and Sam Smith. Mikaela is also a certified yoga teacher and yoga therapist (E-200 RYT, C-IAYT). Mikaela is extremely passionate about music, theater, and working with children; Particularly combining these passions to create a safe, supportive, and artistic space for kids to learn, grow, explore, and gain self-confidence and life skills through a creative and expressive outlet. Students that get a chance to work with Mikaela receive the kind and patient care from her, but also the experience and background of a professional who has done many of the things that her students dream of accomplishing themselves! Josh is truly a "renaissance" man having a Master's Degree in Biostatistics as well as an impressive background on the piano. He is a graduate from San Diego State University and has "experience" (aka suffered) all of our early growth issues including when we used to write down the teaching schedule on a white board for the day! 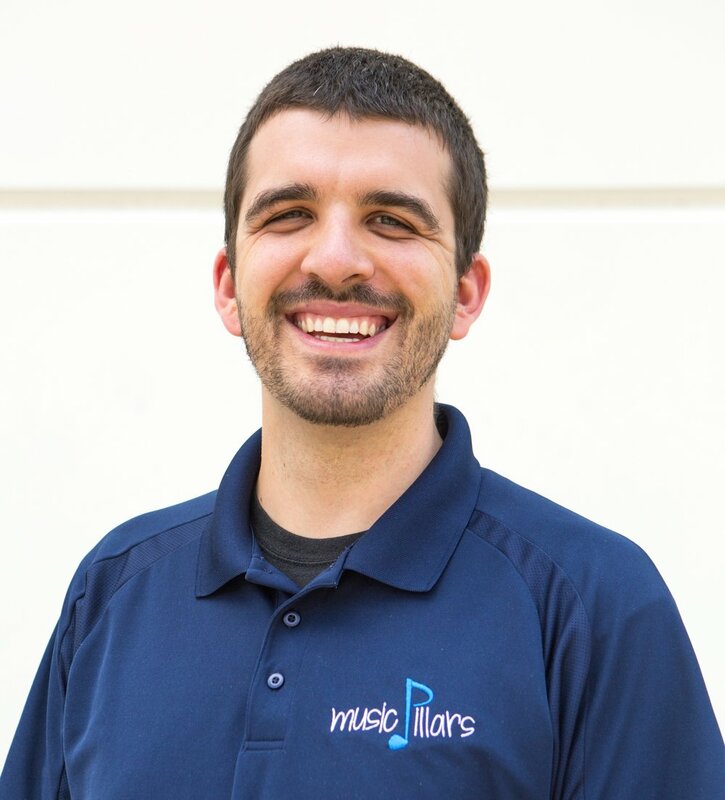 Josh has an ability to connect with young musicians in a almost magical way, and he cares deeply about their progress and their experience during lessons. He was gone from us for a year or so while completing his Graduate Studies, and we are absolutely thrilled to have him back, and parents and student alike that get to have Josh in their rotation absolutely love and adore him! Kia is a musician, composer, teacher and author. She graduated from the famous "Fame School"-Fiorello H. LaGuardia HS of Music and Art in NYC. Kia also studied music theory and composition at Mannes Conservatory and received a BA-Music Major from Aaron Copland School of Music/Queens College/CUNY. She took Graduate courses studying Special Ed/Music Therapy at Lehman College, NY. After in depth research with creating highly motivational music programs for all ages, as well as children that had ADD, Autistic or Asperger’s, Kia was awarded a grant from the music Grammy's to write a book. She traveled to Europe and the Far East teaching creative music workshops. Kia has been teaching piano and voice-beginner and intermediate levels for over 22 yrs. Teaching music is a way of life and she believes we are all creative individuals. The key is finding how to express ourselves fully through music and enjoy the journey as we learn and grow within our musical expression. Kia is the author of Making Music With Your Child, funded in part by a grant from National Academy of Recording Arts & Sciences,(Music Grammy's) and published by MMB Music. Her teaching, book, and/or research has been featured/reviewed by The Music Educators Journal, Grammy.com, Symphony Magazine, American Music Teacher Magazine, the Orff Echo, The Arizona Republic, and many others. Kristi’s soulful music is inspired by her love for the beach culture, love, and experiences. When she is not playing music she can usually be found in the ocean, surfing, or songwriting. Check out some of her songs and music videos here. After seeing a string quartet perform in elementary school at the age of five, Rachel knew she wanted to play an instrument. In its own way this one performance changed her life and lead her down the road to discovering her lifelong passion for the piano and music. Because of this, she knows what a difference music can make in a young person's life. Rachel was fortunate to be the student of Vera Rathje, who was taught by famed concert pianist and Julliard teacher Rosina Lhevinne (1880-1976) and concert pianist Eugene List (1918-1985). It is from her lessons with Mrs. Rathje that Rachel learned the principles of musicality, individuality, technique, and tone for which Rosina Lhevinne and the "Old" Russian School of Piano Playing are known. Rachel truly enjoys helping her students grow as musicians and find their own unique musical expression. Scott is committed to giving students and parents a world-class music teaching environment. He constructed and developed the "Pillars" of Music Pillars. This was developed by both experiencing the various schools of thought regarding music pedagogy, and then also working as a paid musician. Pillars is a fusion of Suzuki, Classical, Kodaly, and Jazz. He made a wonderful living as a pianist from the age of 15 until 25. Totaling over 3,000+ actual hours performing live (for all you math-scholars, that is the equivalent of being on stage 8 hours a day, 5 days a week, for 18 months). He was a Merit-based Buck Family Music Scholar from the University of the Pacific Conservatory of Music. Because of that dual background in a formal classical conservatory, and also as a paid musician, Scott set out to establish music studios in the U.S. to teach "musicianship" rather than simply technical mastery on the piano (classical training) or cheapening music education by just learning a few "cool rock songs" and having that somehow equate to a musical education. To read more about our teaching philosophy, please click here.